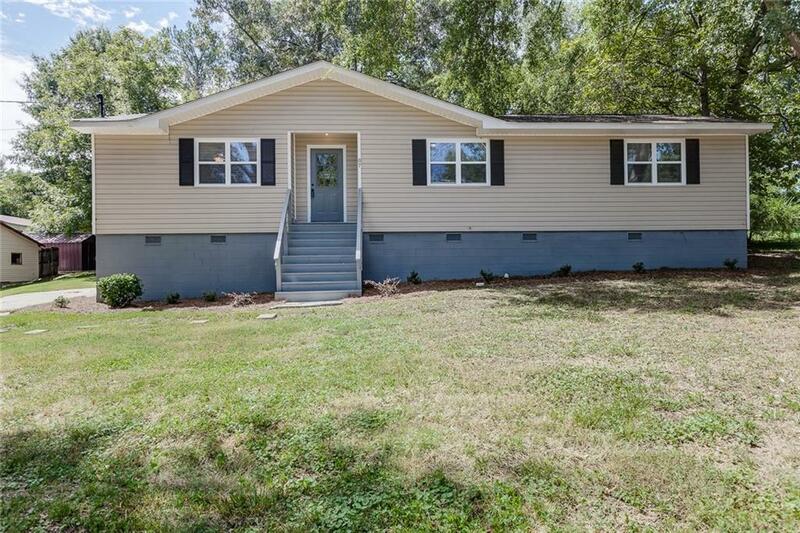 THIS RANCH HOME IS LIKE BRAND NEW! NEW ROOF, VINYL SIDING, FLOORING, VINYL WINDOWS, HVAC, KITCHEN CABINETS, COUNTERTOPS, BATHROOM VANITIES, TOILETS, AND LIGHTING. LARGE LOT AND PRIVATE BACKYARD. GREAT VALUE FOR THIS UP AND COMING AREA. CONVENIENT TO PARKS, SHOPPING, SCHOOLS, AND DOWNTOWN ROCKMART. USDA ELIGIBLE! Sold by Re/Max Covenant Realty.